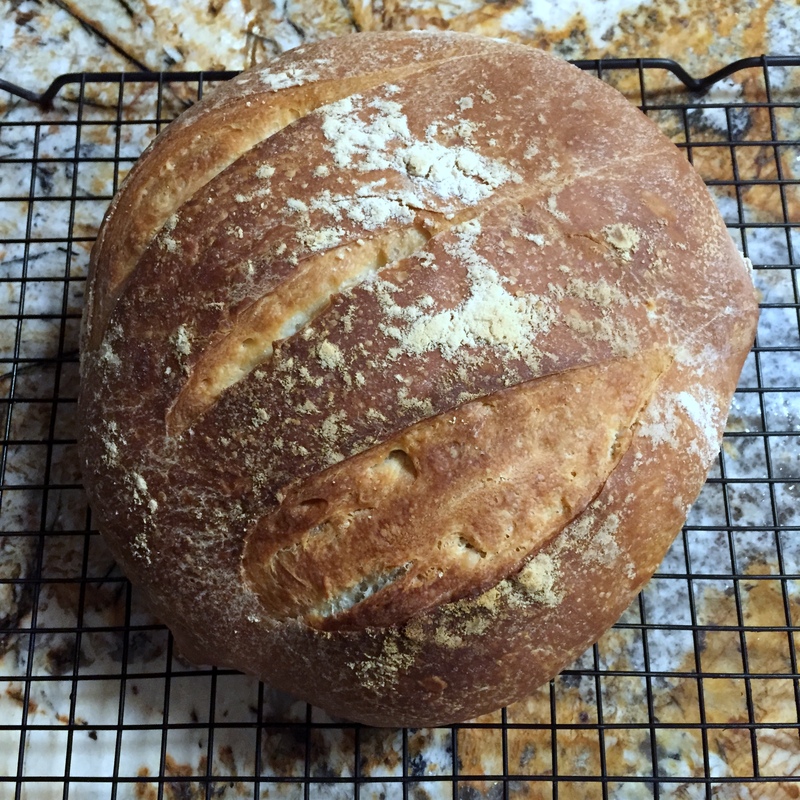 Sourdough Bread…Now that is something I never thought I would make. So involved. So difficult. So much time. I grew up with my mother making wonderful sourdough and other breads all the time (a few times a week at least!) and bake a lot of yeast breads. [Check out my recipes for Honey Oat Bread or Rosemary Potato Bread for fairly quick yeast bread recipes.] I had never tried making sourdough before. I wasn’t sure where to get the starter. My mom’s has been alive almost as long as I have so I thought it was something I had to get from a long running batch. I considered having my mom mail me some of hers but it didn’t seem worth it. I would probably kill it anyway, right? Luckily for me, opportunity struck and I got the chance to make my own! Back the beginning of May, I threw a birthday dinner party for Roomie #2 and baked him a big batch of Garlic Herb Rolls. I had some of the bread sponge left over and, after cleaning the fridge the next day, accidentally left the container of sponge out on the counter overnight. The next morning it was bubbly and active. I couldn’t bare to throw it away so I decided to throw a little flour and water in and see what happened. The next day it was even bubblier and starting to smell a little sour! At this point, I decided that I had better look into the process of making sourdough starter. I was pretty sure that I wasn’t going to kill anyone with this experiment but, as a reasonable person, I wanted to make sure that Roomies #1 and #2 were safe eating any creations based on this starter (I do need them alive to pay rent after all!). It turns out, I had essentially followed the steps of creating a new sourdough starter from scratch to a T…by accident! After almost a month of patient feeding and waiting, I decided to give baking a loaf or two of my own homemade sourdough a try. 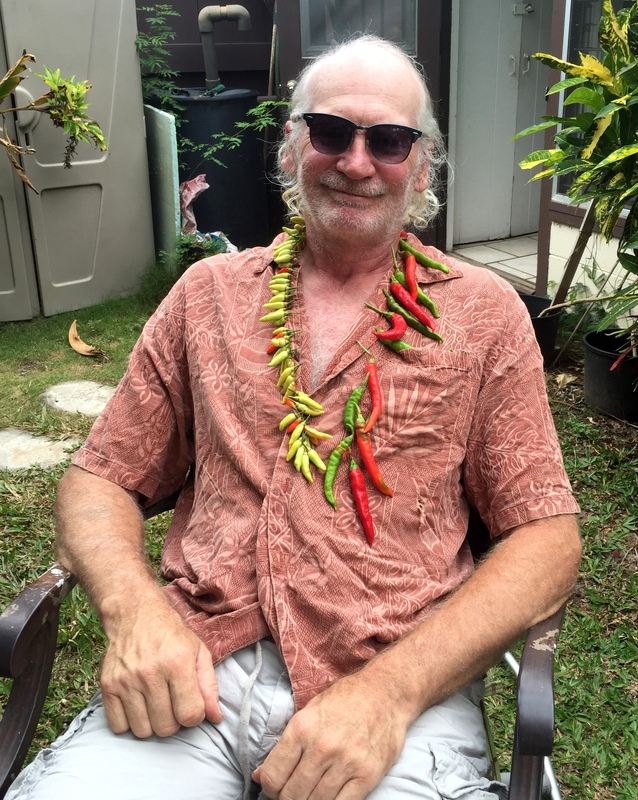 It was a my dad’s 60th birthday party and I was charged with cooking dinner so it was the perfect occasion. [As you can tell, I like to go big. Take the risk. If the bread had turned out poorly, the whole party would see my failure AND we wouldn’t have any bread for dinner!] Luckily, this was some of the best bread I have ever made. Chewy and crusty just like it is supposed to be. All in all, this was a lesson in happy accidents and in trusting in your instincts (and of course double checking that you won’t kill anybody!). 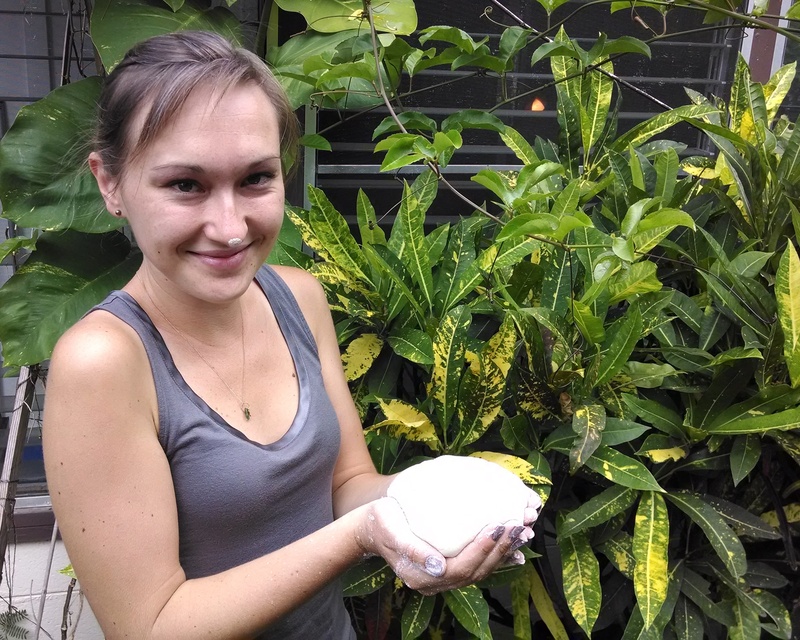 If I had thrown away the leftover sponge, I would never have had such a great experience. Now, this bread is so meaningful to me: it is the by-product of a dinner party for someone I care deeply about, a connection to my mother’s breads of my childhood, and it was first made for my father’s birthday. A pretty darn important bread….I’ll do my best to keep this sourdough starter alive! First ever loaf of sourdough! It makes for a very pretty table. After the starter has begun to smell sour (about 7-10 days), you can refrigerate it, adding more flour and water infrequently, until you are ready to make bread. At that time, take the starter out of the fridge and allow it come to room temperature, feeding as necessary, until it is active again. Then simply use the amount of starter you need for your recipe. Add more flour and water and repeat the process to keep your starter alive for months or years to come. Can I add in some grated nuts to it? I love making bread, I can’t wait til I get home to my own kitchen.